AutoTag.me is an online tool that magically tags your images and makes them easier to organize and find! We’ve been working hard on the technology part that allows the actual photo tagging automation. We’ve seen great interest in the technology and believe there’s great potential in auto-tagging – saving time and money, more discoverable image content, more precious moments visualized and well preserved. AutoTag.me helps you tag your images so you can later organize them without the hustle and bustle of manual tagging. You will be able to submit your images from sources like Flick, Dropbox and Facebook or any given image or folder on your hard drive. Then our service will automatically analyze the pixel content of the submitted images and come up with tags that describe the concept, the composition, the objects and the colors found in each of the images. You can then add easily add or remove tags and save the text set within the image itself or export it to some popular online photo service. Watch our short video to see what to expect. 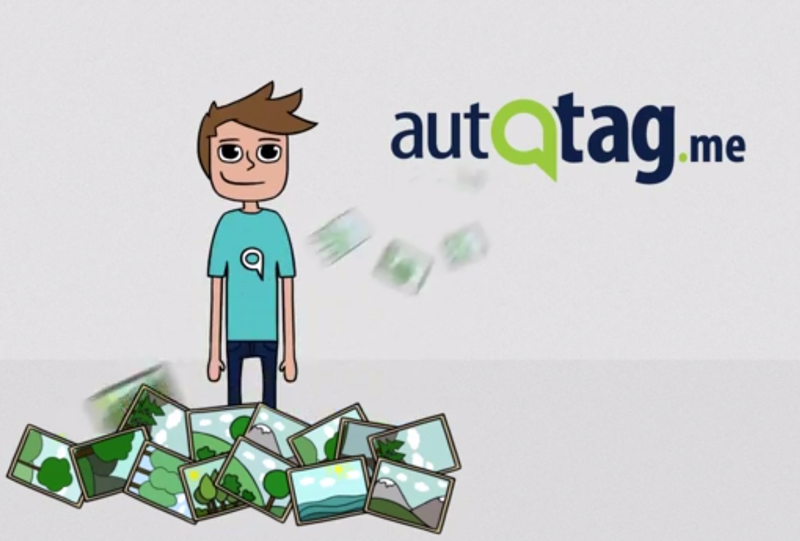 We are very excited about Autotag.me and can’t wait to see you using it and returning some valuable feedback.